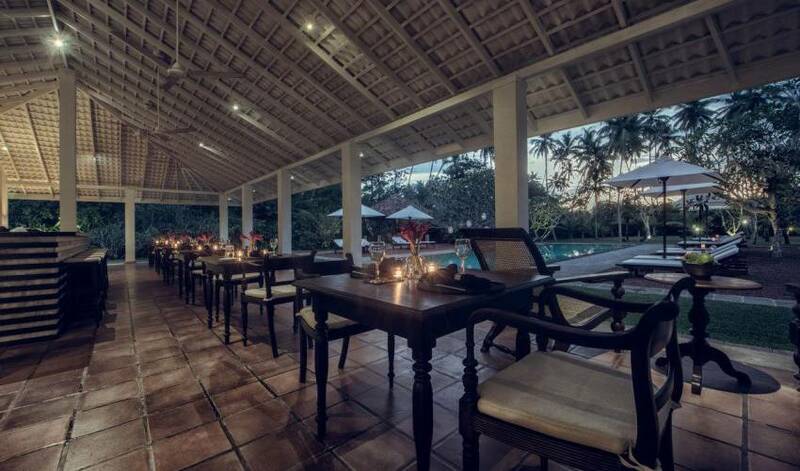 This villa in Bentota, Sri Lanka is the perfect private getaway, a gift of paradise to share with your family and friends. 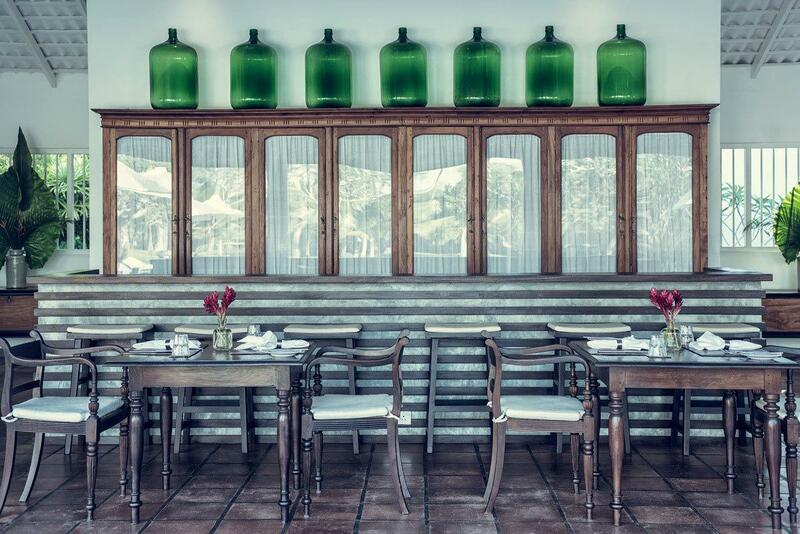 Its winning combination of intimate ambience, soothing pace, and honest, unpretentious service conspire to offer up an experience that is, in design, service, and soul, unequivocally Sri Lankan. 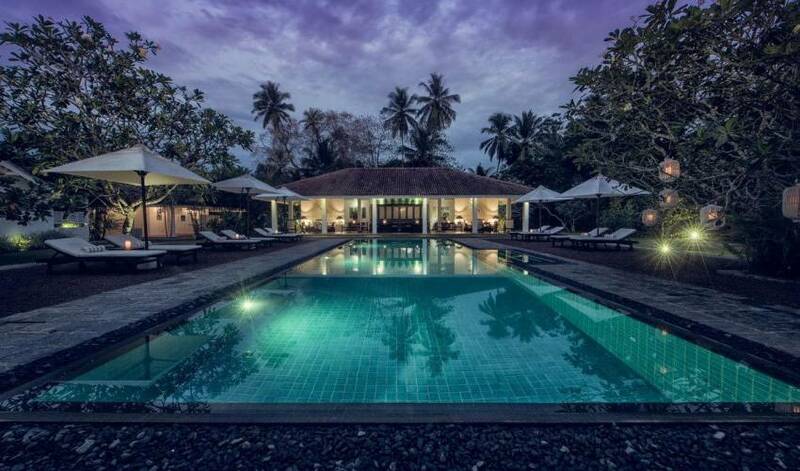 Undoubtedly one of the most renowned beach villas in Sri Lanka, Villa 1397 is an enchanting 170 year-old Walauwa (Heritage House) in a dream beach setting. 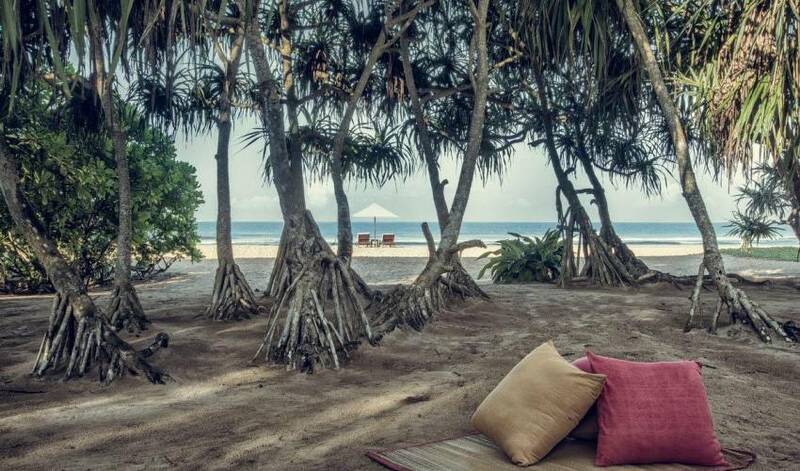 It is situated on a beautiful, un-crowded stretch of coastline, tranquil enough to attract nesting turtles and a vibrant and audible birdlife - a rarity along the highly populated Southern and Western coasts of Sri Lanka. Spread out over 2.5 acres of flawlessly manicured beach front property, this private tropical garden brings you closer to the heart and soul of a place where everything just seems alright; every modern luxury at your fingertips and every sunset within your reach. 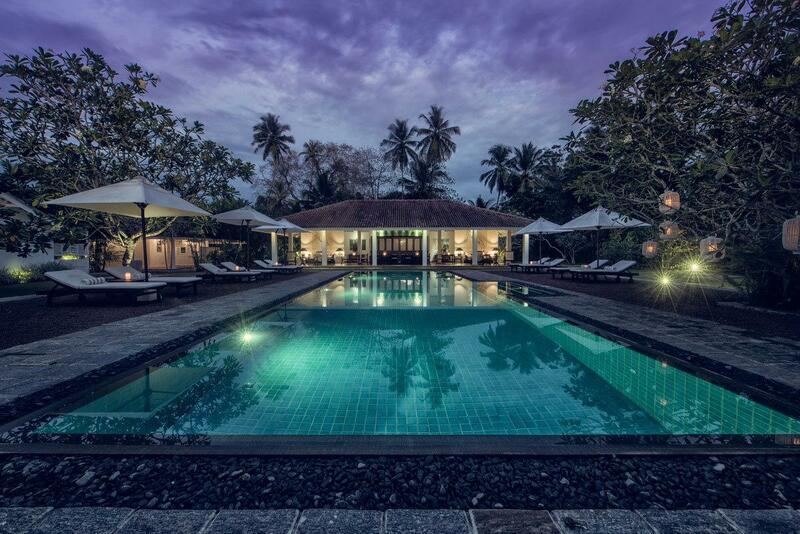 This reassuringly spacious design, as you might expect from one of most celebrated villas, is a feast for the senses and the soul. 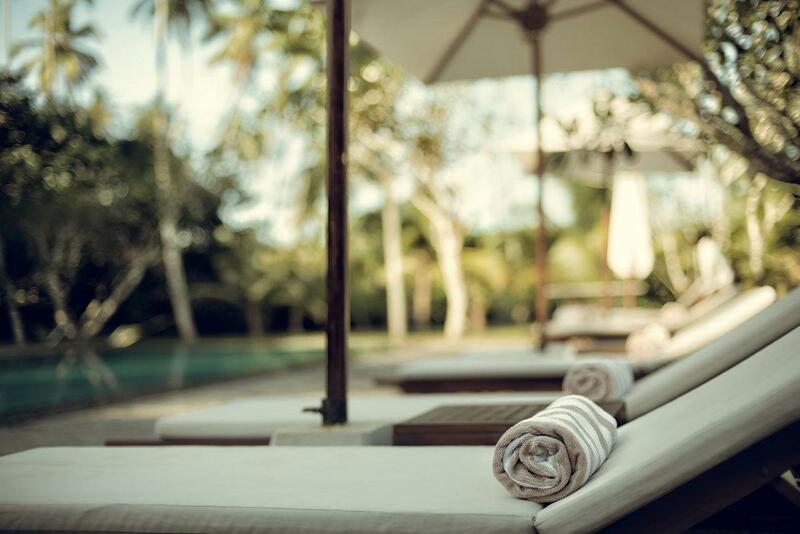 With the sweet smell of frangipani floating about the sea air, you may choose to take your place on one of many lazy colonial armchairs, sunbeds or hammocks as you are waited on by skilled hands and warm smiles. 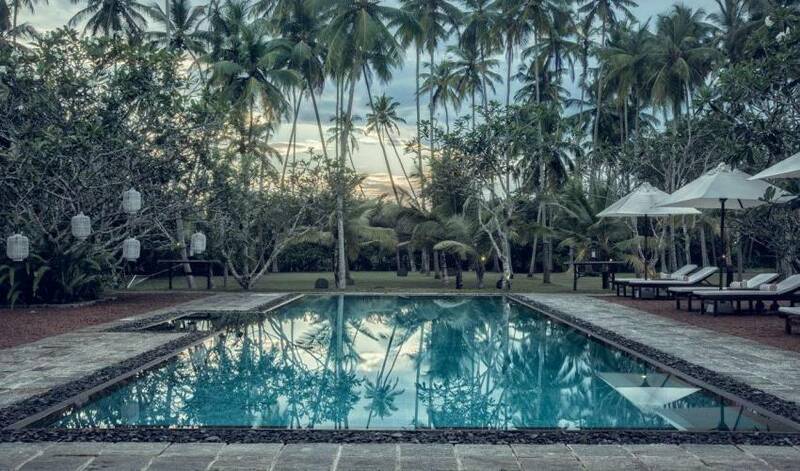 Perhaps you will choose to take a refreshing dip on a hot day, in an expansive pool that curls seductively towards the lapping waves like a carpet of rich turquoise. Maybe you will find your place in the vast garden punctuated by pockets of cool shade from the wavy palm trees that watch from above. 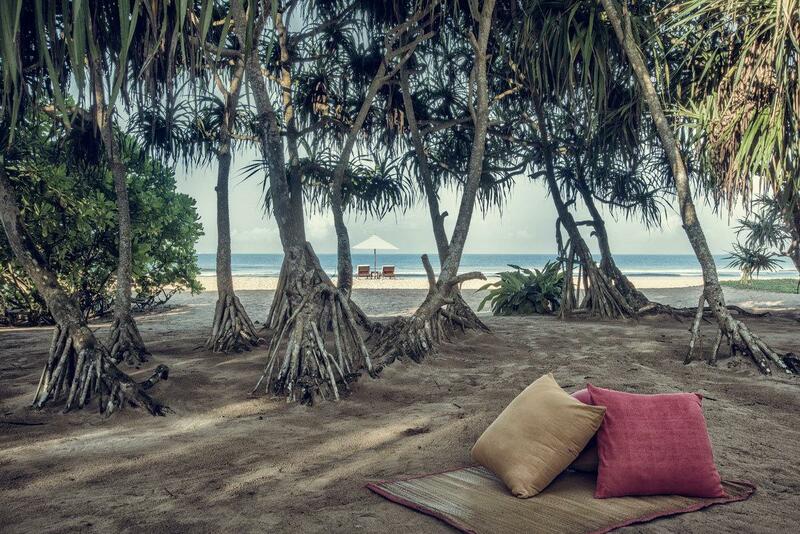 Take just a few steps through the shady greenbelt of mangroves that curve around you like a tropical guard of honour, and you will discover the magic of Sri Lanka's southern coastline in all its glory and intimate splendor. 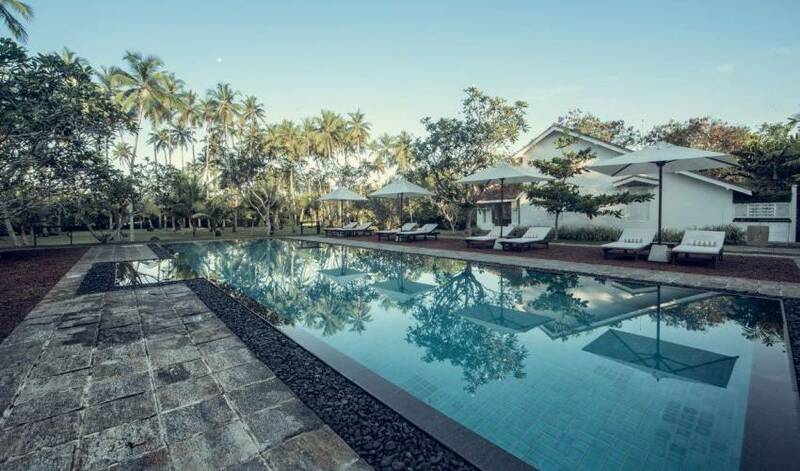 Holiday bungalows in Sri Lanka are some of the most sought after tropical escapes in Asia. Villa 1397 combines the flavors of old and new, seamlessly fusing modern creature comforts, colonial craftsmanship, and cosmopolitan style. High ceilings, rich wood finishes, and an unendingly cool breeze permeate every corner of a space that is just as a beachside villa should be - charming, exotic, tranquil, and just begging you to take your shoes off. 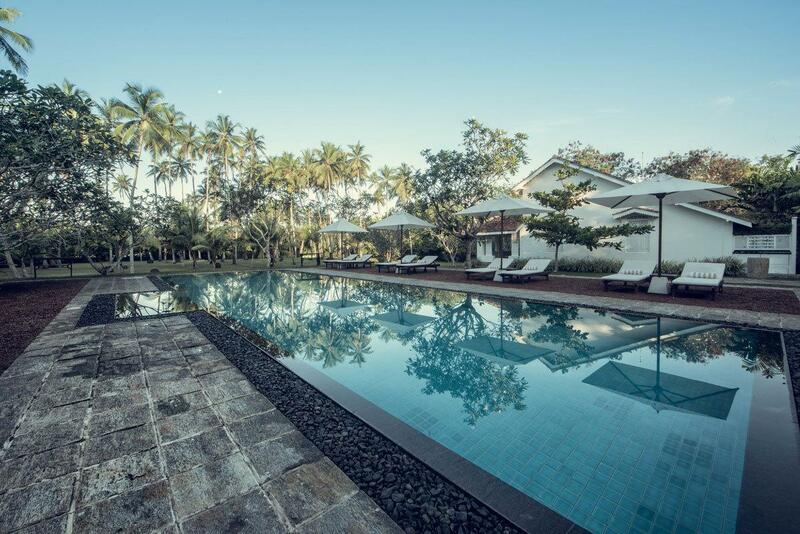 At this boutique hotel you will truly experience nature not as a luxury but as a necessity of the human spirit. When you have finished lounging in the warm sun, retreat to your sanctuary where you will be indulged in all the comforts of modern living. 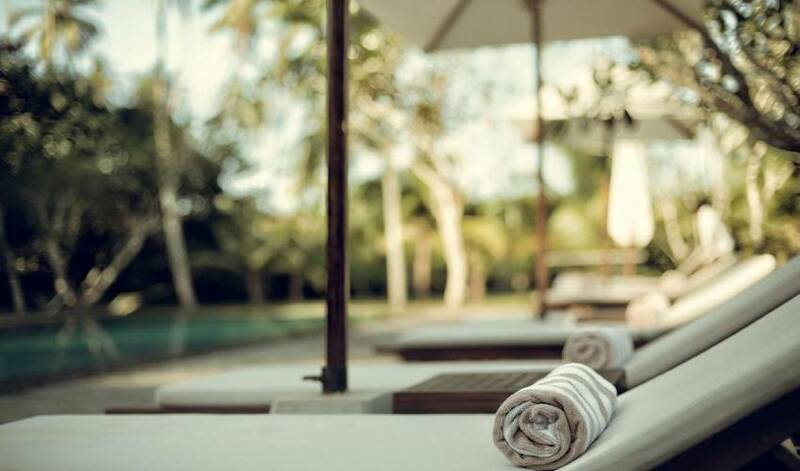 Find yourself ensconced in the famously enticing beds, or planted firmly under the rain showers that promise to refresh, restore, and rejuvenate you. 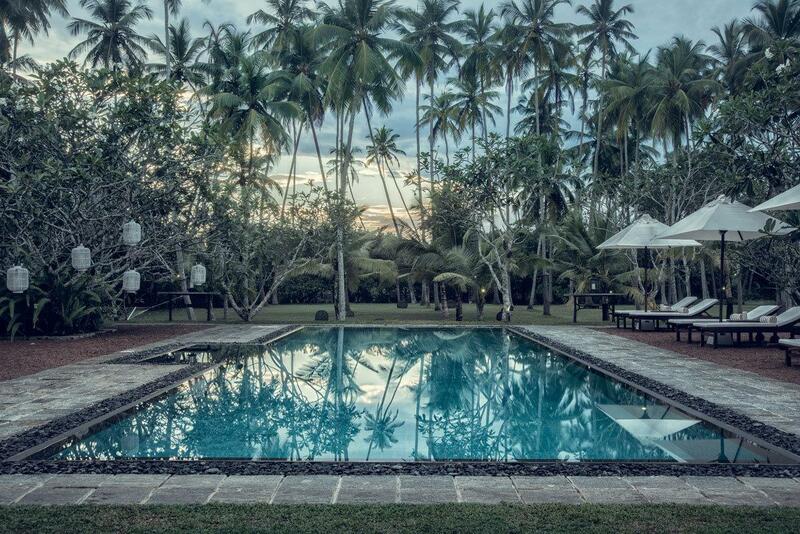 Where comfort and relaxation are concerned, this boutique villa in Bentota, Sri Lanka, will not leave you wanting. Sleeps 12 people (16 with additional beds), in 2 en-suite deluxe double rooms, 2 en-suite superior double rooms and the 2-bedroom Walauwa Suite (with own private veranda, dining room & pantry) with in-room safe, AC, overhead fans, hair dryers & hot/cold rain showers. TV lounge with board games. Check-in 1 pm & check-out 11 am. 50 ft. turquoise pool with an adult-friendly, uniform 4ft 6 inch depth. 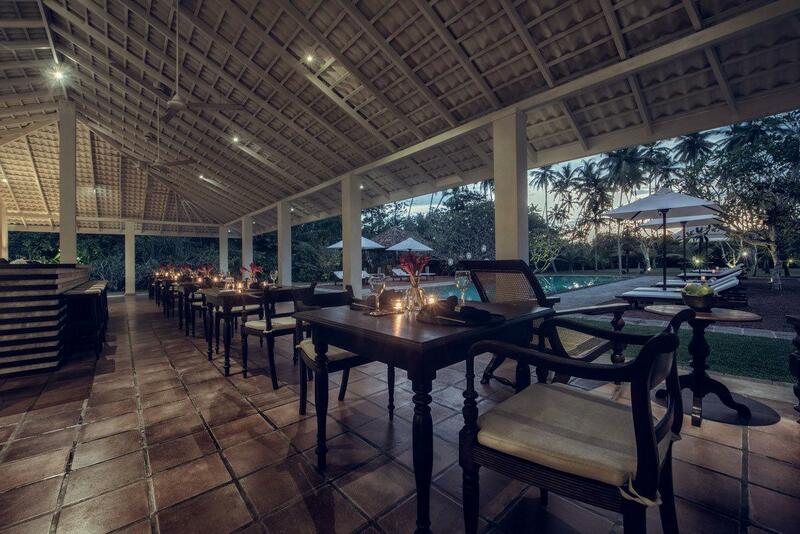 Spacious, open pavilion with bar, dining area and lounge. Free Wi-Fi in public spaces. 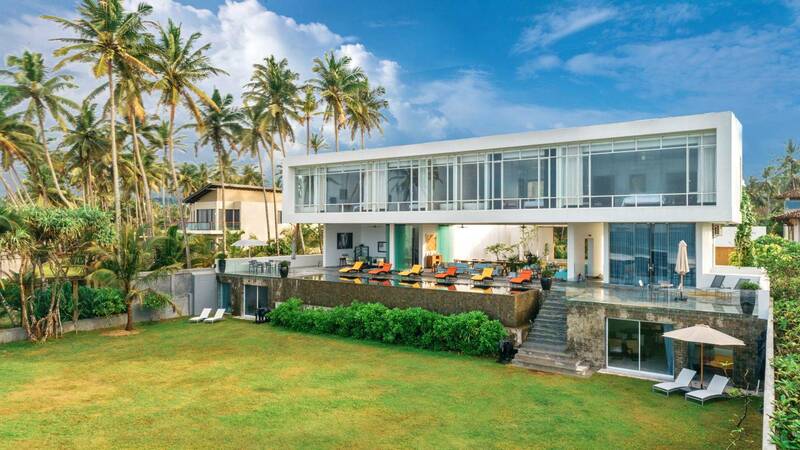 Villa 1397, in Bentota, is reached by passing through Aluthgama Town when heading south along the Galle Road. Passing over the main Aluthgama/Bentota Bridge, keep going till you see the 62nd kilometre post. The turn off Galle Road, a narrow road on your right called Nileesgewatte Road, is approximately 900 metres after the 62nd Kilometre Post. Once on Nileesgewatte Road, the road passes a Buddhist temple, immediately after which is a narrow lane to the left alongside the temple wall. The villa is at the end of this lane.